Get Sconed! : Recent Great Stuff. Tomato Season. I ate a tricolor pint of cherry and grape tomatoes for lunch the other day. 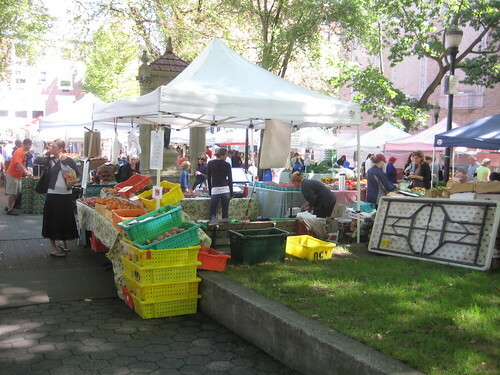 The Wednesday downtown farmers market. Mere block from my office. Hands down, my favorite farmar. Crazy-gluing that hand down - the Cafe Velo cart. It's a smaller set up (this one is a bike! 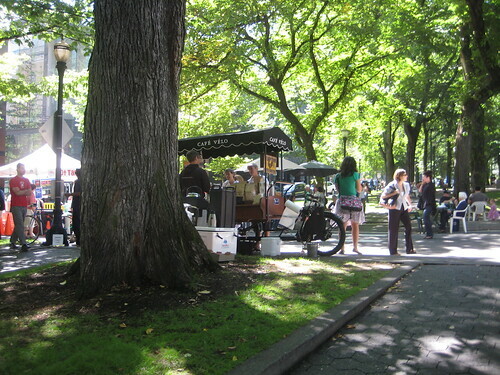 Oh, Portland) than the Saturday markets', with 400 fewer people on line with cute crying babies in front of you. Individually dripped cups of Stumptown, you choose the roast! I went with an Indonesian roast this past week. 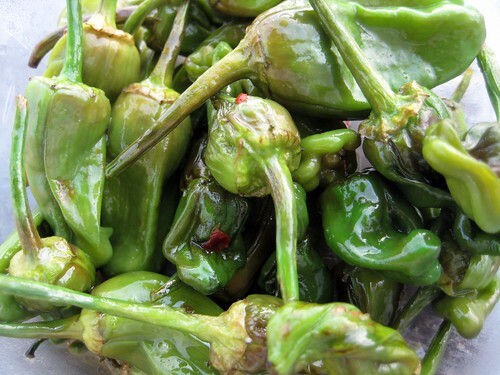 Holding on the farmers market theme for one more addition: Pimientos de Padron. I can't let these go this summer. These were sauteed classicly with olive oil, coarse sea salt and crushed red pepper. 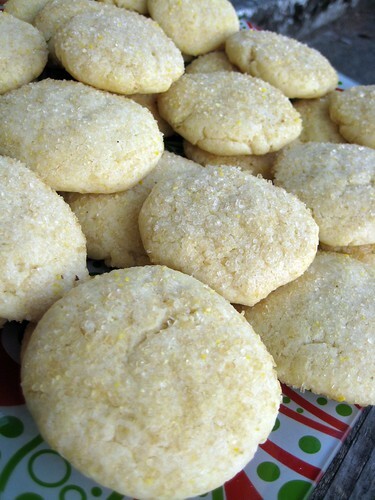 I brought the above peppers to the Try Vegan Week Potluck & Trivia night, along with these cookies from the upcoming Vegan Cookies Invade Your Cookie Jar. Heading back to test kitchen land, I've started testing for Isa's upcoming 'healthy' book. I am so freaking busy lately, but if I'm making a point to cook at home, odds are it will be her recipes. It's just how life is. Moving on from corn, to corn - the down home, smoked corn on the cob from Homegrown Smoker Vegan BBQ. If you've read my Stumptown Vegans review, you know I'm quite fond of them. They've recently labeled quite a few main items gluten free, and I swear, their home cooking style food is better every single time I go. From corn to......pizza! Because sometimes Hot Lips puts corn on their pizza..... At this week's Yelp Portland Ballroom Bash. 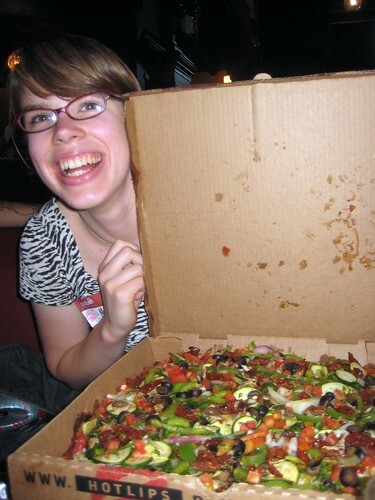 Here's Maeve with the vegan foccacia pie Don personally delivered to the table of awesome Yelpy vegans. The Yelp Elite Hour & Ballroom Bash was super fun! I'm not a huge Hot Lips fan, and I despise their cilantro pesto, but how cool! I was able to get a tomato base slice a bit earlier, fortunately for my tastebuds and sanity, had I been induling in more of the complimentary beverages. Oh hey, walking across the Morrison Bridge safely for once, thanks to construction, is pretty great. And random. And really, really great - a veganized Vermecilli Bowl from Huong's Vietnamese cart downtown. He has other vegetarian options that are alright, but I've been wanting to request a vegan version of the pork or chicken bowl for too long! So, I finally did. He even volunteered a summer roll for the eggroll before I could even think to ask. I'm on a rice noodle kick. It was tasty, and HUGE! And $6! It had fried tofu strips and this strange white gluten, which was good stuff. All in all, Really Great Stuff. I MUST try that bowl! It all looks delicious, of course, but the corn is what caught my eye. What's on it? Paprika? It looks smoky delicious. oh portland. why do i not LIVE THERE. the amount of vegan food is ridiculous. everything looks so good! i'm so jealous that you get to be a tester for like all of isa's books. i can't wait for vegan cookies!!! AND she's writing another one?? that's insane. 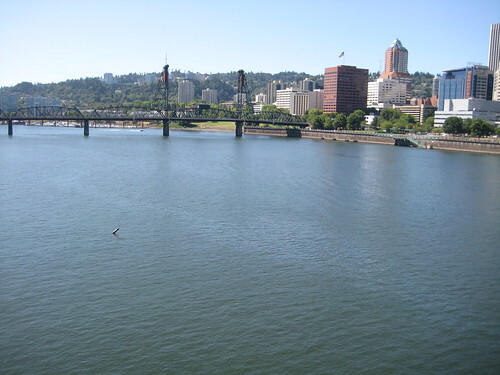 Oh, Portland! I just love the Wednesday market, we take the kids every week and a lot of the vendors know us and are so friendly with the kids. 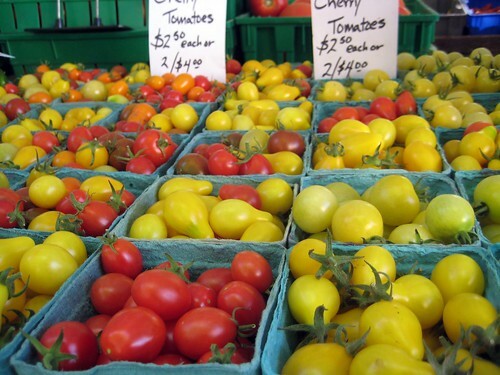 Last week we bought a bunch of heirloom tomatoes to try back at school and the kids loved 'em! There is too much good stuff in this post, I don't know where to start! That curried chowder looks AWESOME! 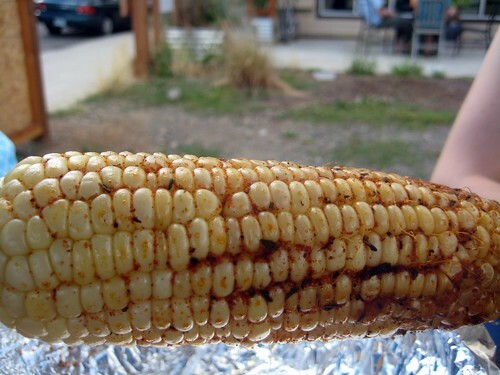 And that roasted corn on the cob, WOW! That pizza...that pizza will haunt my dreams. Talk about amazing and mouthwatering and perfect! Can't wait for vegan cookies! That is really great stuff! 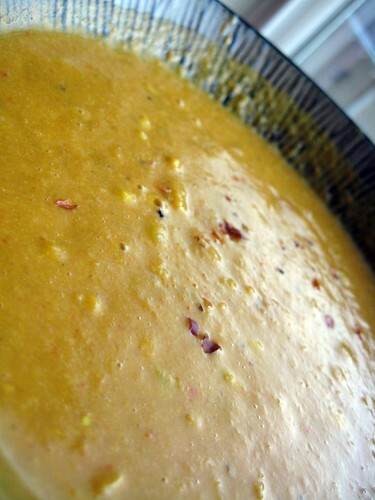 i just made a corn chowder too! i pureed white beans and soaked cashews for mine, it was yummy. 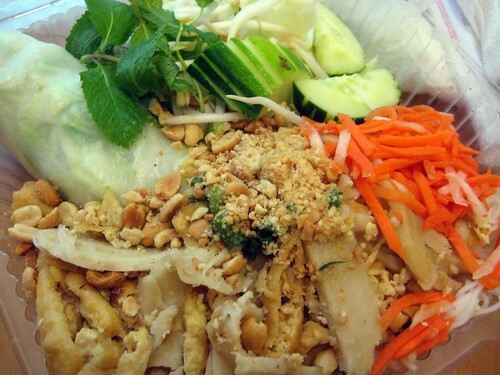 that noodle bowl looks a lot like the Tofu Salad Bun @ Pho PDX (which i adore), i'm going to try it!! awesome post. and i heart tomato season too. i grew garden peaches, yellow pear, orange beauty, and cherokee purple tomatoes this year, with reasonable success. indiana had some peculiar weather this summer. So close to my work too! We definitely run around the same places, my Portland bloggerista.